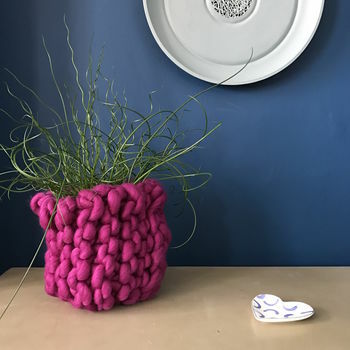 A fantastic giant knit kit containing all the ingredients for our knitted pot cover. 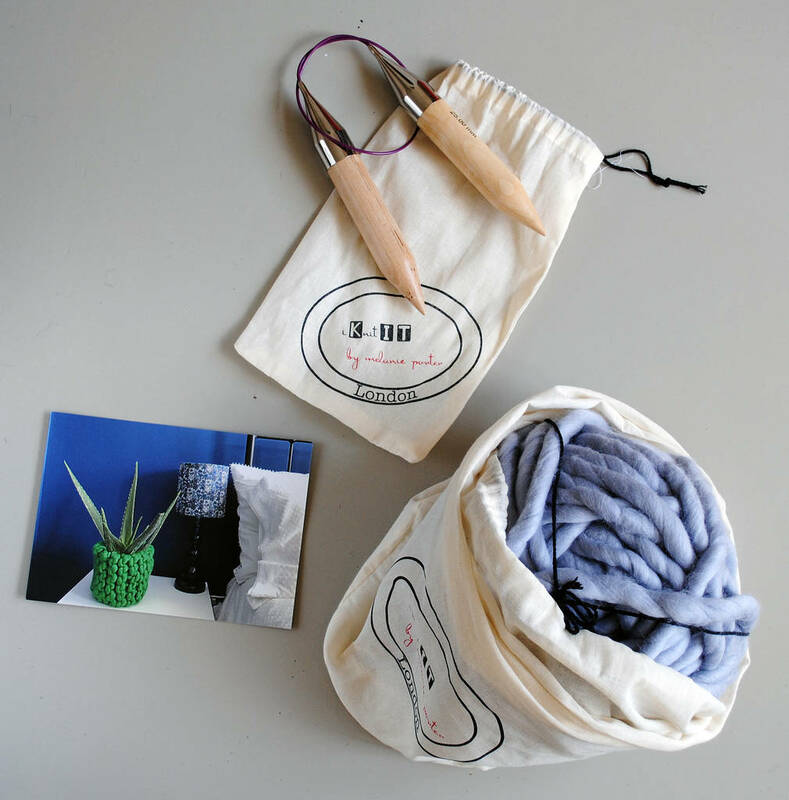 Kit contains 300g Fat Bubba wool, 25mm circular birch knitting needles in cotton pouch, knitting instructions for pot cover, cotton iKnitIT duffel bag. 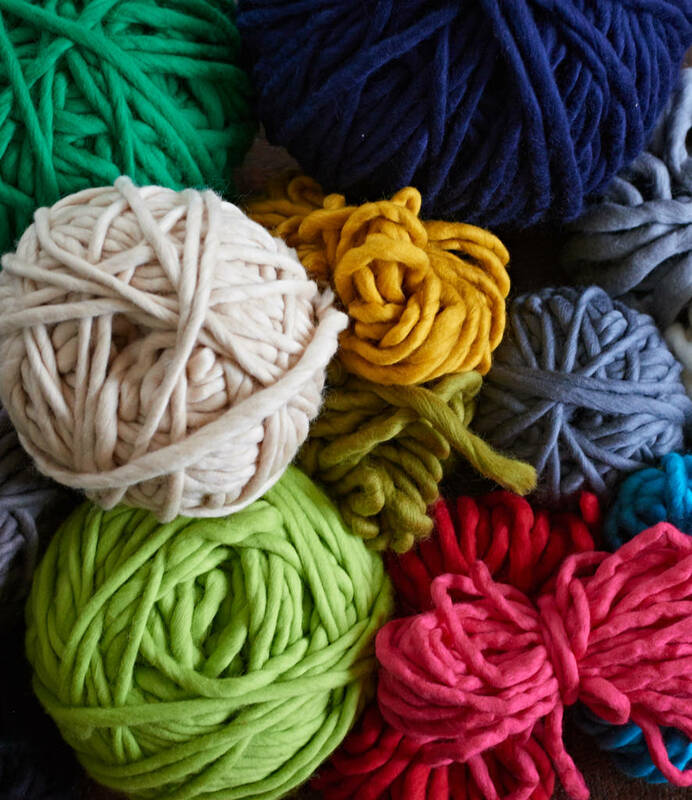 Fat bubba wool is made using 100% Merino wool which is painstakingly hand prepared to create a truly unique soft felted yarn. 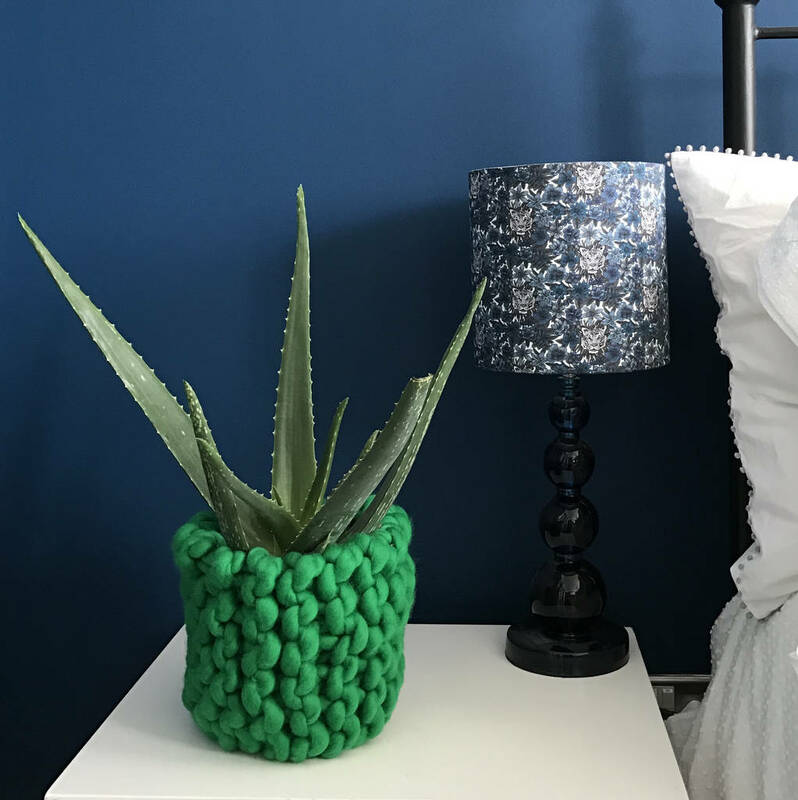 Unlike 'unspun' wool our merino is gently felted before knitting which reduces piling and give a wonderfully soft and cosy result. 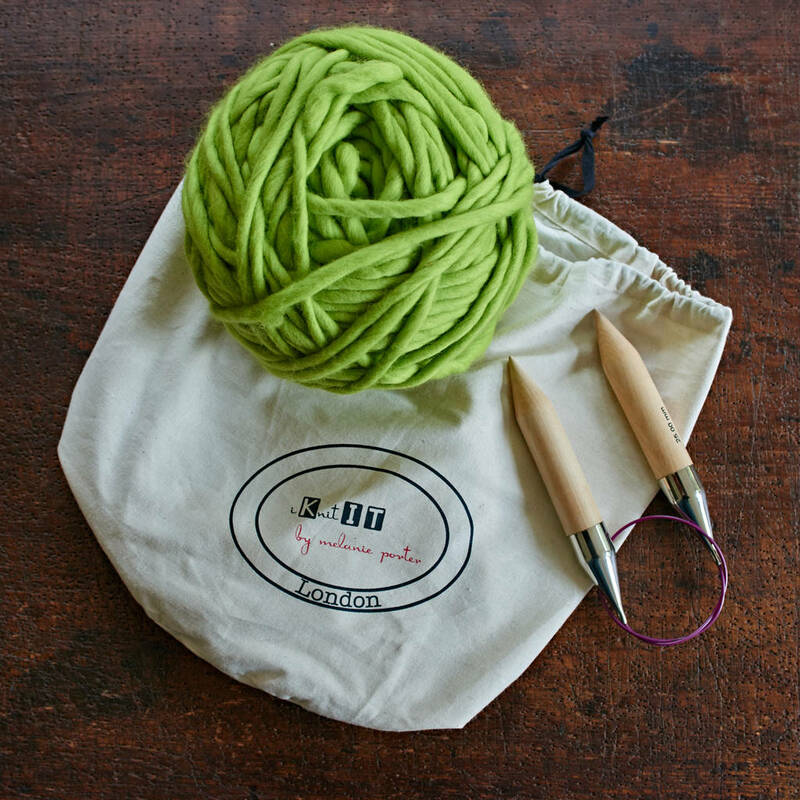 This would be an ideal gift for an experienced, or beginner knitter wanting a fun project. This product is dispatched to you by Melanie Porter.